KZO Enterprise-Wide Video is used by corporations looking to create and share learning content in video format. Contact KZO Innovations for pricing details. KZO makes managing your video library simple by giving users access to content from anywhere. Organize / group by playlists, and easily search content and discussions. KZO also let you synchronize your video with accompanying materials. KZO, the simple way to Create videos from any device anytime, Share videos within any LMS or portal, and Socialize your video, engage social learning, letting viewers add comments, ask questions and get answers. Pros: Very easy to user interfaces. I was able to figure it all out within minutes. 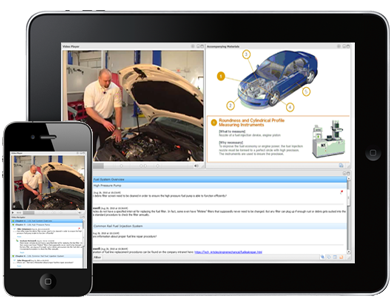 KZO's video creation tools were great and made it easy for my sales team to create new video content from the field. KZO's collaboration tools allowed for all my users to feel connected and share best practices with each other even though they are located all around the world. Cons: I have nothing bad to say about the KZO Platform. Overall: I would recommend this platform to anyone that needs an easy solution to create host/deliver and collaborate around video content. Pros: The KZO Platform is an easy, fun way to reinforce selling skills and product knowledge. Our clients have found tremendous value in the tool and have seen measuralbe impact as a result of their sales teams applying what they have learned. The support staff at KZO is one of the best I have ever worked with! Overall: I have and will continue to recommend the KZO Platform to my customers and I will continue to work with KZO to find new creative ways to leverage their expertise.